Barcelona's immense successes in recent years means that it takes an awful lot for a season to be classified as successful. To put this in context, the club won a domestic double last season, but the campaign was still considered a mild failure, chiefly due to the club's capitulation against AS Roma in the Champions League. They are, however, on course to top their double from last season, as they currently lead LaLiga by a wide 10-point margin, while they are also through to the final of the Copa Del Rey and have made it to the last eight of the Champions League where they shall square up against Manchester United. Barcelona currently boast of one of the most fearsome squads in all of Europe, with multiple world class players in each department who would be a shoo-in into the best clubs on the planet and their quest for a historic third treble has been made possible by the performances of a host of players who have all played significant roles in the club's assault on three fronts. 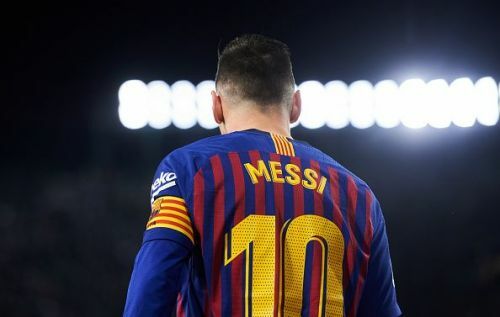 Even though there are some who have disappointed, lot of Blaugrana players have played to or surpassed their usual standards and as such, it was rather difficult to classify any above the other (although Messi's was a rather straight no-brainer). In this piece, we shall be taking a look at the top five best performing players for Barcelona this season. Easily one of the top three goalkeepers in the world, Ter Stegen has grown from strength to strength ever since arriving in Barcelona from Borussia Monchengladbach for €12m in the summer of 2014. The 26-year-old was instrumental in helping Barcelona win the treble in his very first season at the club (primarily as their cup goalkeeper) and he looks on course to repeat the feat this season as the club's undisputed first choice goalie. Barcelona's possession-based style of play and superior attack mean that they are usually on the front foot in most of their matches and rarely does their defense get tested, hence it is easy to undermine the contributions of their goalkeeper. However, it is in situations like these where the true test of a goalkeeper's concentration levels lies. The requisite dedication to remain focused enough to pull off a save when called upon, despite having had nothing to do prior, is not a trait you find in a lot of goalkeepers. Indeed it says a lot about Ter Stegen's performance levels that despite being at Barcelona where goalkeepers rarely get tested, he is constantly named among the best goalkeepers in the world at the moment, evidenced by the furor raised over his continuous backup position to Manuel Neuer in the German squad. 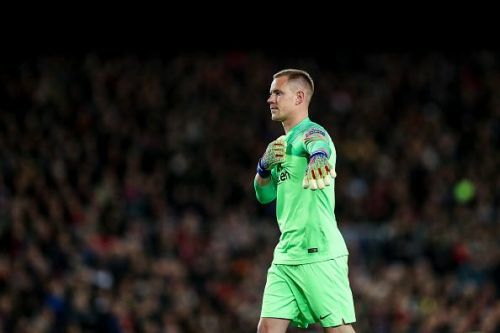 So far this season, Ter Stegen has appeared in all 28 matches in LaLiga for Barcelona in addition to seven in the UEFA Champions League, keeping 15 clean sheets across both competitions to help the Blaugrana march on towards glory and redemption.